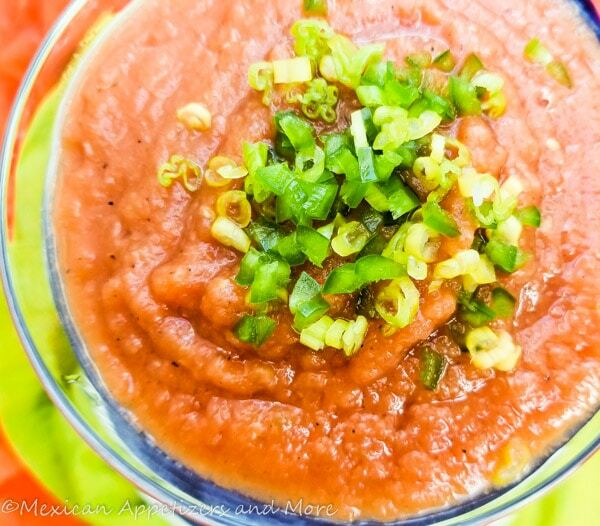 Hyper-Delicious Tomato Jalapeño Salsa | Mexican Appetizers and More! This Tomato Jalapeño Salsa is perfect for tacos, tostadas, empanadas, steak, chicken and even eggs. Made with just 4 ingredients. By far one of Mexico’s best! This salsa is by far one of the most tasty and delicious Mexican salsas you will ever come across. It is hyper flavorful and extremely versatile. This tomato jalapeño salsa has been a gift given to us by this beautiful culture. This salsa is also really simple to make. With just four ingredients. Tomatoes, jalapeño, onion and garlic. That’s it! I often wonder how a salsa this simple can deliver such intense, rich, craving for more flavor. This is still a mystery to me! If you have never come across a tomato jalapeño salsa you probably cannot imagine how this simplicity really works so well. However, you also may have come across it at some point, and loved it. Maybe during a vacation to Mexico or maybe even at your local Mexican restaurant. 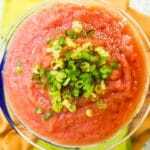 Whatever the case, tomato jalapeno salsa is truly amazing, flavorful and one salsa that deserves much more attention. And as I said before, very versatile indeed! I do realize though, with true simplicity and flavor of a salsa must come a few techniques. Luckily for us, a true flavorful tomato jalapeño salsa is roasting the tomatoes first. Not to much to ask for so much reward, right?! 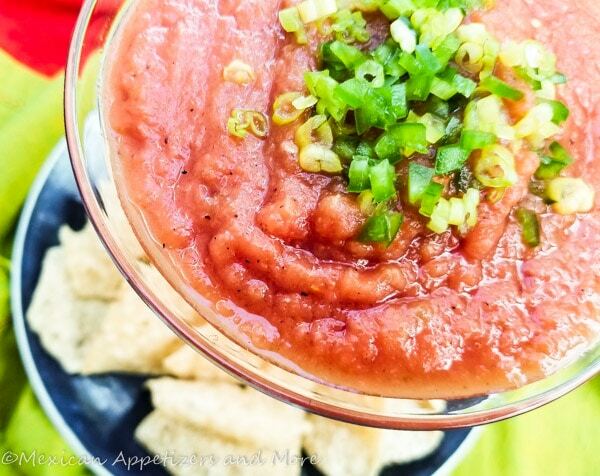 Roasting the tomatoes makes the tomatoes sweeter and much more flavorful, hence, AMAZING SALSA! So my friends whether its today, tomorrow or this weekend, please make sure to give this salsa a try, I promise you will notttt regret it!! Note: You can add a 1/4 fresh cilantro for even extra deliciousness! Want to learn how to preserve jalapeños, click → how to preserve jalapeños. This Tomato Jalapeño Salsa is perfect for tacos, tostadas, empanadas, steak, chicken and even eggs. Made with just 4 ingredients. By far one of Mexico's best! Roast the tomatoes at 400 degrees for 20 minutes. Could also broil for 10-15 minutes. Add the roasted tomatoes to a blender or chopper. Add onion, garlic and about a 1/4 or half of the jalapeño. Pulse to blend and taste for heat level. If salsa is not spicy enough, add another 1/4 of jalapeño or more, continue until you truly enjoy the level of heat. Serve at room temperature or cold if using for salsa. 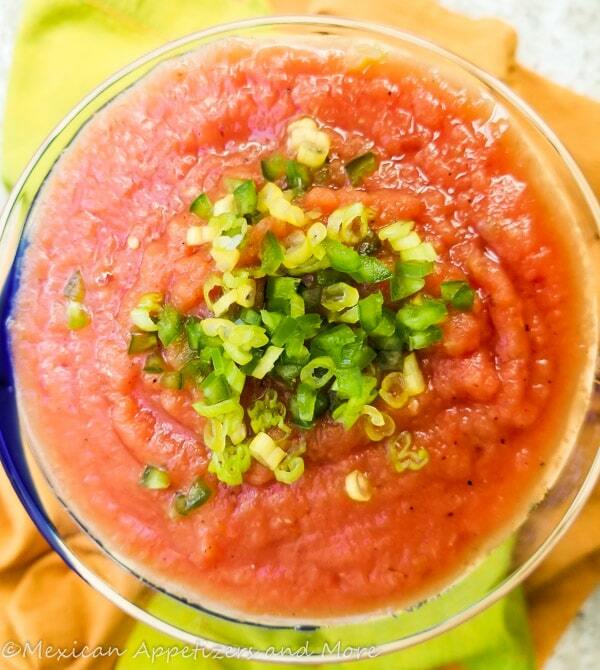 Make this tomato jalapeño salsa and I promise you wont regret it! !